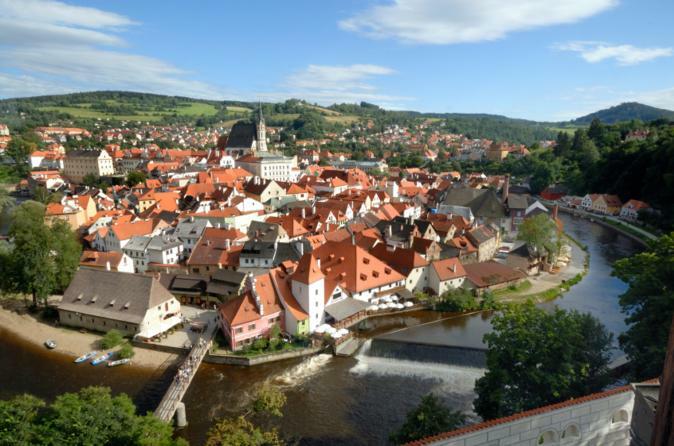 Cesky Krumlov, it is a small town in the South Bohemian region of the Czech Republic. The old town which belongs to the UNESCO World Heritage Site is located in a narrow horseshoe of the Vltava River. Over the river, a huge castle looming over the city center. The main attraction is definitely the impressive gothic castle of Cesky, can be visited, which contains within itself a Baroque theater that miraculously preserved, complete with the original scenery and props, is one of the few theatres of this type still in existence. Obviously deserves a walk through the streets of the old city, where among the many baroque buildings, small shops, art galleries and restaurants make a fine show. You can reach Cesky Krumlov from Prague by bus in about three hours or drive faster with the chance to stop along the way to admire the scenery of the countryside surrounding the Czech capital.